Today on the show I welcome William Brennand and Stefano Occhi, students at the University of Nottingham Brewing Sciences School working on a Master’s level project called “zerogravity” to brew and market their own commercial beer. You can follow their progress on Facebook and Twitter. We start with a discussion of the project and how it got started at the University of Nottingham. Stefano explains some of the educational goals and how it fits into their Master degree theses. William talks about how they have teamed up with a commercial brewery to design and brew the beer at a commercial scale. We talk about the team and the roles of each team member. William explains why they spent quite a bit of time developing their project brand name and logo. Stefano talks about funding for the project which includes brewing on a 3000 liter scale. William shares his selection of style – the brewing of a traditional English cask ale with a few twists. Stefano walks us through the experiments and pilot brews that led to their final selection of recipe. 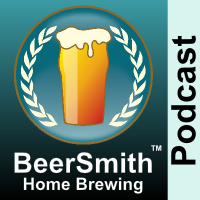 We discuss some of the considerations in designing the beer recipe itself. Stefano explains their ingredient choices and rationale for them. We talk about differentiating the beer from comparable commercial beers in the area. William explains what’s involved in producing and serving a cask ale. Stefano covers distribution of the beer which will primarily be via Castle’s pubs. They both tie the project back to their educational goals – as a capstone project for their Master’s theses. They share their closing thoughts. Thanks to William Brennand and Stefano Occhi for appearing on the show and also to you for listening!